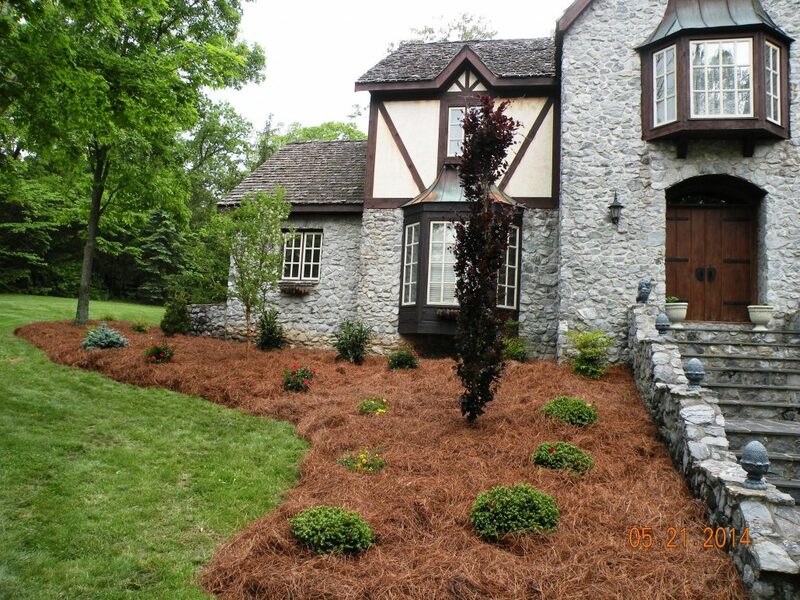 Custom Landscape Design Takes Your Individual Style To The Outside Of Your Home. Every home has its own unique style. Architectural features, room décor, and furnishings all reflect your home’s individual design sensibility. 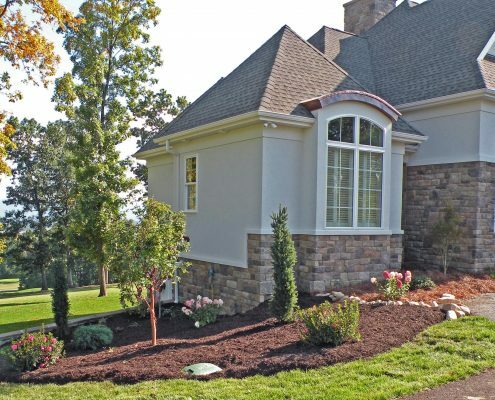 Our process helps us gain a deep understanding of your unique style and deliver a custom landscape that matches the style and personality of your beautiful home. 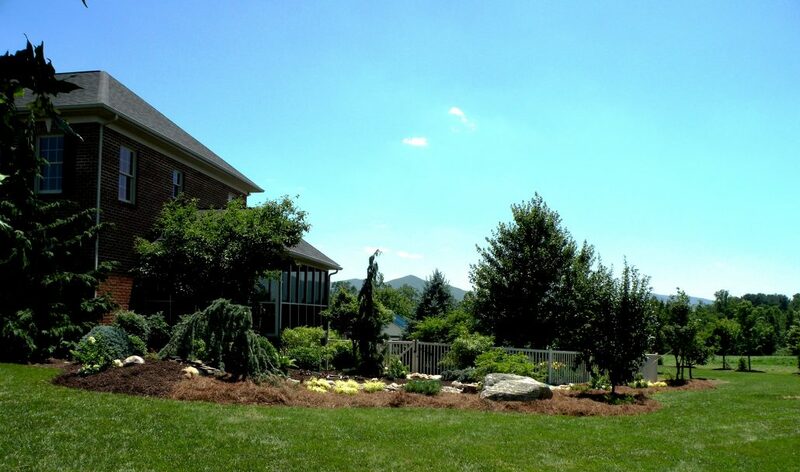 We create beautiful scenery that makes your home an inviting and welcoming environment for your family and friends. 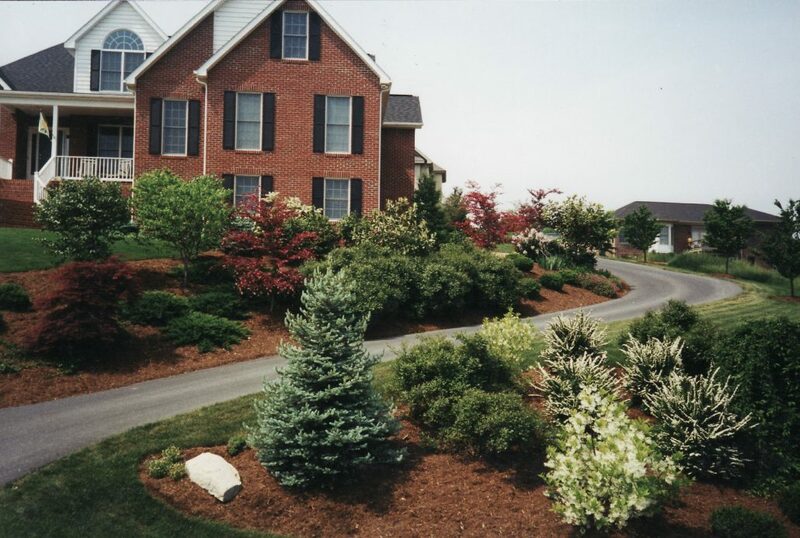 Enjoy Color and Interest All Year Long With A Unique Landscape Design. 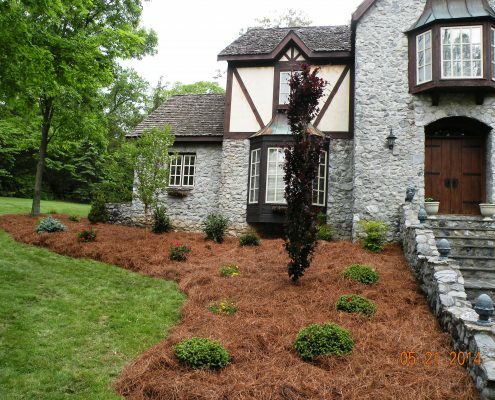 April showers often do bring flowers, but Shreckhise Landscape & Design provides unique landscape design that brings color and interest to your property all year long. Both Jim and Trent Shreckhise have intuition built on a lifetime of experience and significant insight from having acquired bachelor’s degrees in horticulture. A deep knowledge of plants and their growth cycles lends to landscapes designed for peak interest in the spring and summer, with flourishing growth and color throughout the rest of the year. Check out our gallery for examples of our work. Jim and Trent Shreckhise Design Landscapes To Solve Problems and Look Beautiful. Gardens, trees, shrubs and hardscapes all contribute to the aesthetic beauty of your home, but they also serve many functional purposes. Trees can be arranged to form a simple privacy screen for your backyard patio or provide a natural alternative to a fence. 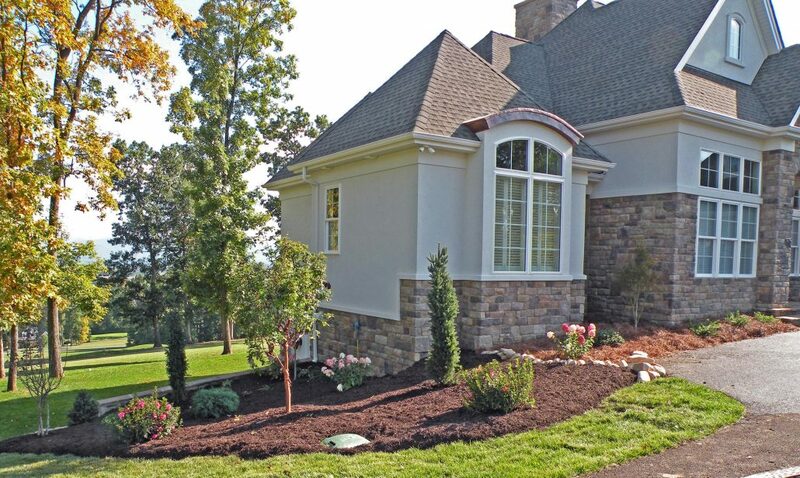 A carefully positioned shrub or stone accent can help with water drainage around your home. 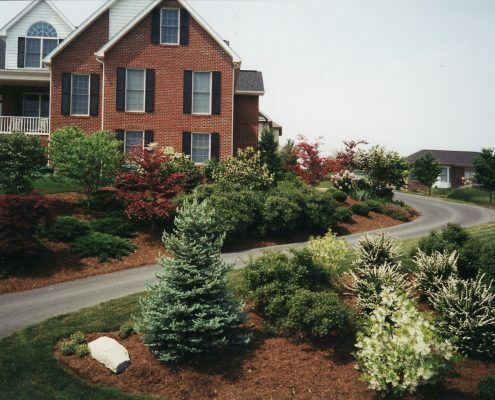 Thoughtful landscape design is a simple way to enhance your property both visually and functionally. 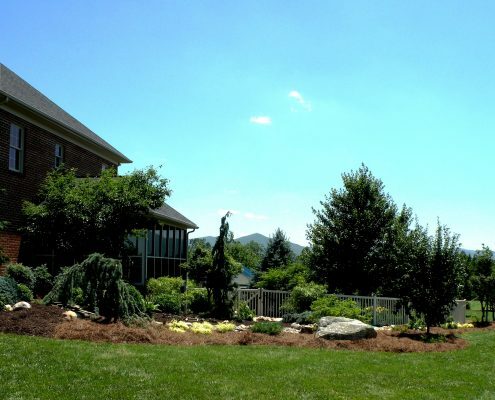 Landscape Design That Blends With Your Property’s Natural Features. A quality landscape design incorporates your property’s existing features in a way that flows naturally and seamlessly between old and new. We provide unique and creative designs that blend the existing features of your yard with beautiful plants material that are hand picked by Jim and Trent from our very own nursery.